Museum-lovers will appreciate Stundars Museum and Vaasa Car & Motor Museum. 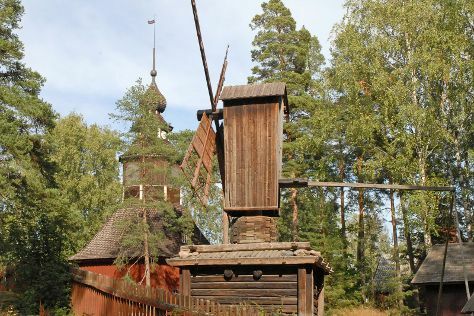 You'll explore the less-touristy side of things at Kvarken Archipelago World Heritage Site and Pohjanmaan Museo - Osterbottens Museum. When in Vaasa, make a side trip to see Arctic Museum Nanoq in Pietarsaari, approximately 1h 25 min away. For where to stay and tourist information, go to the Vaasa tour itinerary planner . Detroit, USA to Vaasa is an approximately 21-hour flight. Traveling from Detroit to Vaasa, you'll lose 7 hours due to the time zone difference. Traveling from Detroit in May, expect Vaasa to be little chillier, temps between 56°F and 39°F. Finish your sightseeing early on the 16th (Thu) so you can drive to Mikkeli. Mikkeli is a town and municipality in Finland. Deepen your sense of the past at sights like Olavinlinna Castle and The Astuvansalmi rock paintings. Step out of the city life by going to Kolovesi National Park and Linnansaari National Park. 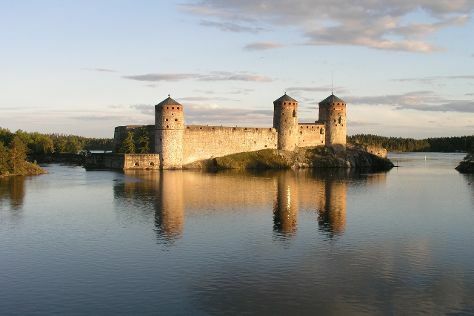 Explore Mikkeli's surroundings by going to Imatra (Church of St. Nicholas & Imatra Waterfall) and Pikkukirkko (in Savonlinna). There's more to do: head outdoors with Anjan Puisto. To see where to stay, traveler tips, more things to do, and more tourist information, use the Mikkeli trip planner . Getting from Vaasa to Mikkeli by car takes about 5.5 hours. Other options: do a combination of flight and train; or take a train. 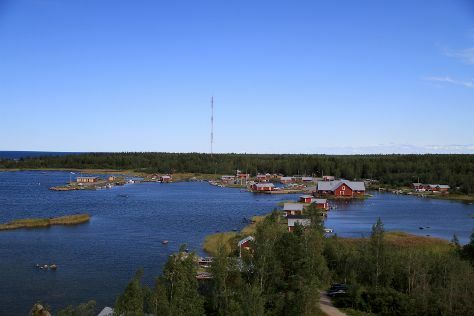 May in Mikkeli sees daily highs of 60°F and lows of 38°F at night. Cap off your sightseeing on the 20th (Mon) early enough to go by car to Helsinki. Kick off your visit on the 21st (Tue): admire the landmark architecture of Rock Church, explore the galleries of Seurasaari Island and Open-Air Museum, then learn about all things military at Sea Fortress Suomenlinna, then contemplate in the serene atmosphere at Uspenskin Cathedral (Uspenskin Katedraali), and finally take in the architecture and atmosphere at Helsinki Cathedral. Here are some ideas for day two: contemplate in the serene atmosphere at Kamppi Chapel of Silence, then explore the world behind art at Kansallisgalleria, and then appreciate the extensive heritage of The Esplanadi Park. To find photos, maps, and more tourist information, refer to the Helsinki trip planner . You can drive from Mikkeli to Helsinki in 2.5 hours. Other options are to take a train; or take a bus. In May, daily temperatures in Helsinki can reach 60°F, while at night they dip to 43°F. Finish up your sightseeing early on the 22nd (Wed) so you can travel back home.